Seven lifts were installed across New England for the 2018-19 season. With the 2018-19 lift construction season finally coming to a close, new lifts are operating in three New England states. Seven aerial lifts were constructed, making the 2018-19 tally about average as compared to the last 20 years. 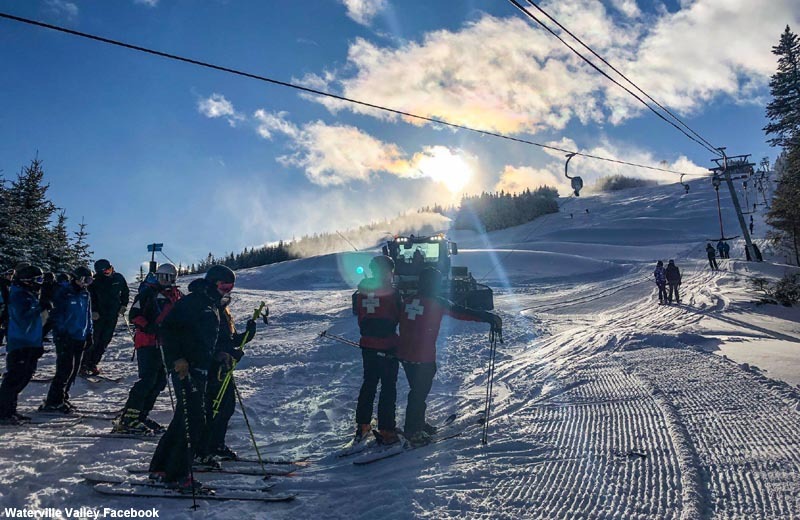 As has been the case during the past half decade, Vermont had the largest number of lift installations of any state, with three of its five projects taking place at Killington. The Promenade Triple at Catamount marked the first chairlift installed in Massachusetts since 2014. 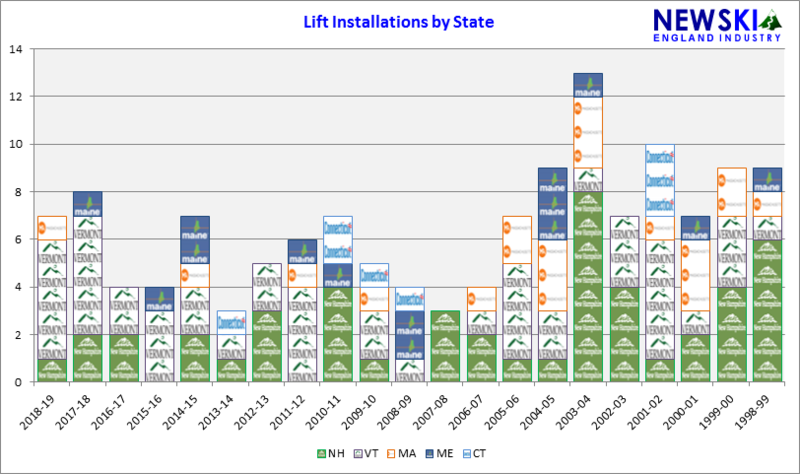 Though Doppelmayr has been the dominant installer of new lifts in New England over the past decade, 2018-19 saw an even split with Leitner-Poma. 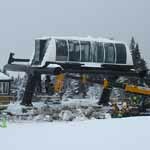 2018-19 also marked the first season since 2015-16 in which a detachable lift was installed in New England.